Happy New Year, from Cycle Tokyo! 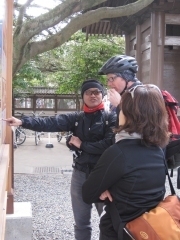 To start our activity off for ' 2012 we went riding together yesterday with Phil-san from Scotland. 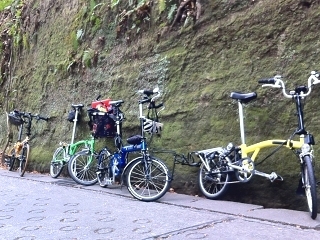 Since Phil-san had brought his foldable Brompton with him, we decided go out of Tokyo, take our bikes on the train and ride around Kamakura. Getting off at Kita-Kamakura, we visited a couple of temples, went for Ton-Katsu Lunch, rode along the shoreline on Route 134, had some Japanese confectionary, then topped the clear winter day off with... very nice shaved ice, of course in a warm and cozy room. Sounds interesting, heh ? Ride was based on the route below. This page contains a single entry from the blog posted on January 15, 2012 5:36 PM. 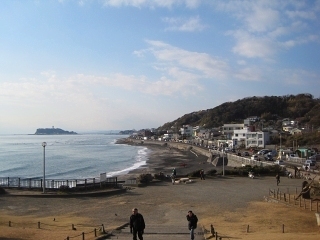 The previous post in this blog was BIke Ride 25-Dec-2011. 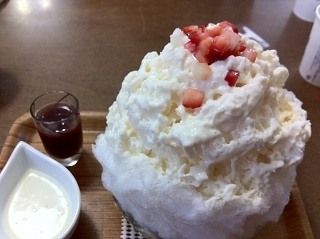 The next post in this blog is Spring Time (at last ! ).